Plushy will perform at the opening ceremony, which will take place at 17:00 on March 25, and will include the ceremony and a performance. Other than Plushenko, Davis/White and Shen/Zhao will also perform. Not yet "officially confirmed" (by Plushy), but... Hongmin, some more details? 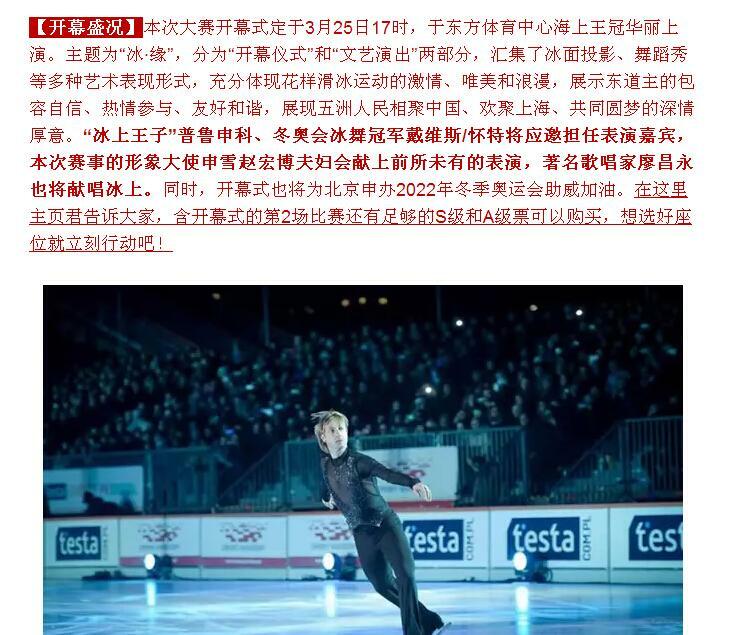 Not too much details yet: in an official press-conference on the upcoming Shanghai World Figure Skating Championships, it was announced that Plushy will perform at the opening ceremony, which will take place at 17:00 on March 25, and will include the ceremony and a performance. Other than Plushenko, Davis/White and Shen/Zhao will also perform. whitebamboo wrote: Not too much details yet: in an official press-conference on the upcoming Shanghai World Figure Skating Championships, it was announced that Plushy will perform at the opening ceremony, which will take place at 17:00 on March 25, and will include the ceremony and a performance. Other than Plushenko, Davis/White and Shen/Zhao will also perform. YES ，pairs sp will take place at 18:00 on March 25. Ticket is including the opening ceremony and pairs sp. Good seats are not available. Front rows are almost sold. Company: Shanghai East Asia Ticket Marketing Co., Ltd.
50 Meters by walk, on the left side. Right Side of Zero Gate. *Note: Please take you passport for ticket pick-up. Last edited by bigeyegugu on 05 Mar 2015, 16:48, edited 2 times in total. Re: Opening Ceremony of World Championships- Shanghai 25.03. Meryl Davis and Charlie White will be in Shanghai for the 2015 World Figure Skating Championships after all. The Olympic ice dance champions took a break from competing this season, but they will be on hand for the opening ceremony March 25. "We're going to Shanghai," Davis said at the grand opening of airweave's flagship retail store in Manhattan's SoHo district Wednesday. "The local organizers asked us to be in the opening ceremony, so we will be there. I can't say we're sure what we will do yet." 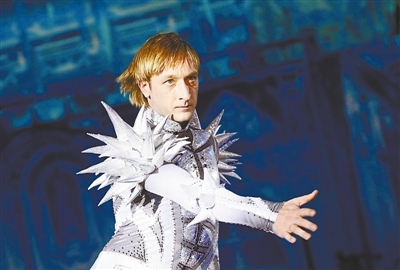 Other Olympic champions, including Evgeni Plushenko, have been invited to participate in the opening ceremony as well. This is the first time the event will be held in China. "We're 99 percent sure we'll be on the ice, skating," White said with a laugh. "I mean, it would be in their best interests not to have us sing." ------plushenko and DW will perform short program in the Opening Ceremony.